Over the course of the exhibition, we’ve been highlighting some of our favorite submissions to our Made in the USA in-gallery comment station. 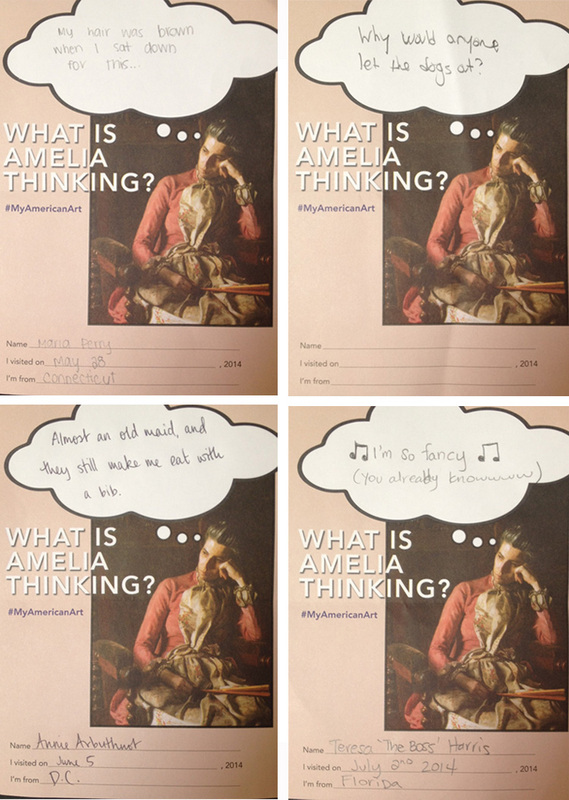 The station asks visitors to respond to Thomas Eakins‘s Miss Amelia Van Buren by answering the question, “What is Amelia Thinking?”. Below are this month’s installment of giggle-worthy submissions. Made in the USA curator Susan Behrends Frank discusses some of the recent additions to the exhibition galleries, from Duncan Phillips’s first personal acquisition (Ernest Lawson’s High Bridge—Early Moon) to one of his final purchases before his death (Loren MacIver’s Printemps). To celebrate the last month of Made in the USA, we’ve asked Phillips staff to create acrostic poems for works in the exhibition. We’ll feature some of our favorite submissions over the next few weeks. 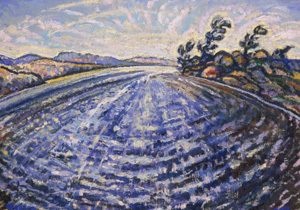 In this post, Chief Operating Officer Sue Nichols muses on life with this view.